The fence is the Ser Hegn construction company's largest current project. "It is a great task that we are taking up with great humility and respect. We are very excited to get started," Ser Hegn director Henrik Hallenberg Rasmussen told Danish Radio. — Miljø & Fødevaremin. (@MFVMin) 28 января 2019 г. ​The fence will be completed in a matter of months through varied terrain. To achieve the goal in record time, the workers will work 24/7 in 12-hour shifts. 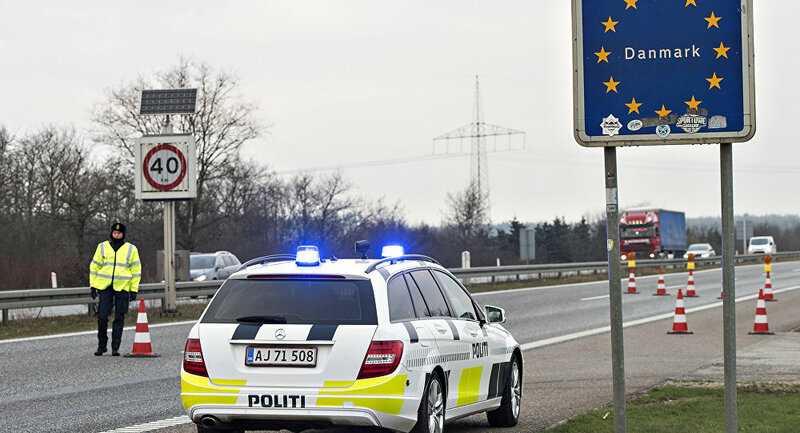 The fence will end at Schengen border stations. Martin Brink, a project manager for the boar fence with the Danish Nature Agency, stressed that the giant construction won't serve as a 100-percent guarantee against the dreaded disease. "Sure, it will reduce the possibility of wild boars entering, but it cannot rule it out completely," Brink told Danish Radio. "The openings shall be monitored, so that the animals coming through will be shot, Brink suggested. Previously, the fence came under fire from biologists, who claimed it violates centuries-old animal migration routes, and the EU authorities, who claimed that it sends out a "wrong kind of signal". — Naturstyrelsen (@naturstyrelsen) 28 января 2019 г. ​Land owner Henrik Gotborg Hansen, whose land, which has been in his family's possession since 1875, will be cut in half by the fence, called it "a day of sorrow". In 2018, France began raising a similar anti-boar fence along the border with Belgium following an outbreak in southern parts of the country. Previously, swine pest has been encountered in Latvia, Lithuania, Poland, the Czech Republic, Romania and Bulgaria. ​While it doesn't affect humans, swine pest (also known as swine fever or swine flu or ASFV) can have devastating consequences for a nation's economy, by bringing pork exports to a halt. Around 5,000 pig farms in Denmark produce approximately 28 million pigs annually, which is several times Denmark's human population of 5.6 million.